A Leaseholder writes – EastendHomes Consultation Document. As with a number of EeH’ other ‘commitments’, this one seems to have got lost somewhere in delivery. 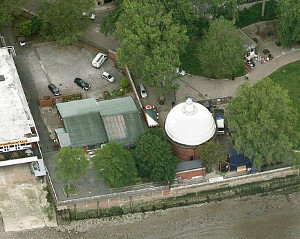 Leaseholders from six EeH’ estates have therefore met up informally to agree on a joint course of action to bring about genuine accountability to all EeH leaseholders and, in line with the practice of other responsible RSL’s, specific leaseholder representation within EeH’ democratic, resident-led structure. A working party has been established which will put together a draft Constitution and Mission Statement for an EeH, estate-wide Leaseholder Association; the working party Co-Ordinator is Karima Soutsane, e-mail soutsane@hotmail.com. The draft documents and an outline of the group’s next steps will come back for agreement to a meeting on Monday 21st September – details to follow. We attended a meeting last week called by Andrew Coles of THLA. This meeting was also attended by representatives of all EeHomes estates in the borough. The agenda was to talk through the idea of setting up one Association for all estates. It is hoped the the main committee would be made of members from each estate association. Then there would be on each estate their own committee to deal with problems in their own area. By doing this we hope and feel that EeH will recognize this main group and start talking to its Leaseholders. After discussing our treatment by EeH we feel this is the only way forward. We are having more meetings in the next few weeks and will also be talking to the press. Tim Archer our councillor is as always 100% behind us and will continue to do all that he can to help. Other estates LBTH councillors are also willing to help. 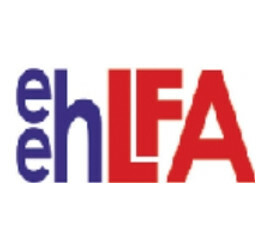 The name of the new Association will be ours, EASTEND HOMES LEASEHOLDERS ASSOCIATION. This is the best name to use borough wide. 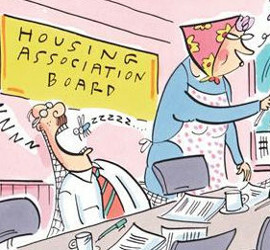 As soon as it is up and running we will be changing our name to ISLAND GARDENS LEASEHOLDERS ASSOCIATION. The telephone number will not change but a new web site will be set-up. If anyone would like to join the committee of IGLA please contact us. Also if you are a computer whiz, help with web site would be appreciated. If not a member already, joining detail are below. Pass the word on to other leaseholders. Next story Whatever happened to planning consents that mean something?